Marlow, May 9th, 2017 - Sennheiser a leading provider of premium audio solutions for businesses, is pleased to announce its attendance at UC Expo 2017, Europe’s Largest Unified Communications and Collaboration Event that takes place at London’s ExCeL, 17 and 18 May 2017. Sennheiser will be showcasing its full range of innovative, professional audio solutions for unified communications environments spanning from wired and wireless Bluetooth and DECT headsets for personal communication to speakerphones and conferencing solutions for dedicated meeting rooms. The Sennheiser stand will feature four dedicated pods representing different scenarios – in the office, mobile working, flexible workspaces and dedicated meeting rooms – presenting Sennheiser’s advanced audio solutions and their benefits for the modern workforce and workplace. At the stand, visitors can experience how Sennheiser’s headset and conferencing portfolio can help make their everyday business communication and collaboration more mobile, efficient and productive. In addition, a team of Sennheiser experts will be able to match business communication styles and needs with the right audio solution and arrange free two-week product trials for interested organizations. Sennheiser’s latest additions to its professional mobile business series, the MB 660 UC with adaptive active noise cancellation has set a new gold standard in ANC and sound quality. The business-grade headset delivers sophisticated technology to combat distractions in the modern open office workspace and allows users all-day comfort in these collaborative spaces. 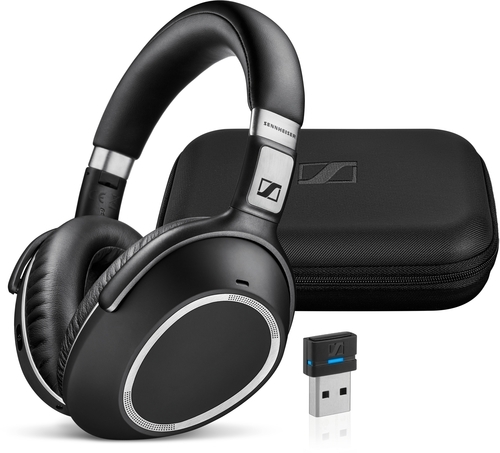 At Sennheiser’s UC Expo stand, visitors will have a fantastic opportunity to win a pair of these top-of-the range headsets.